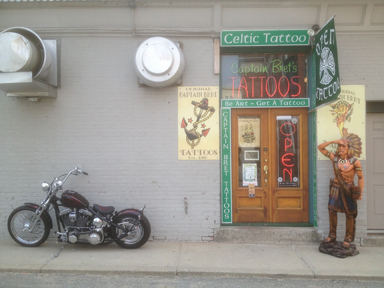 A few generations ago, tattoos largely had a negative connotation. 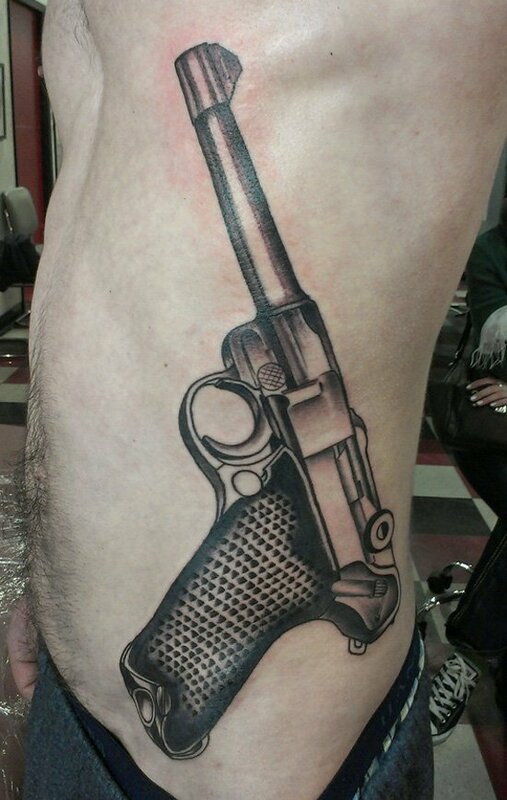 A lot of the stereotypes tied to tattoos had to do with gang members and criminals being some of the most visible people with tattoos. 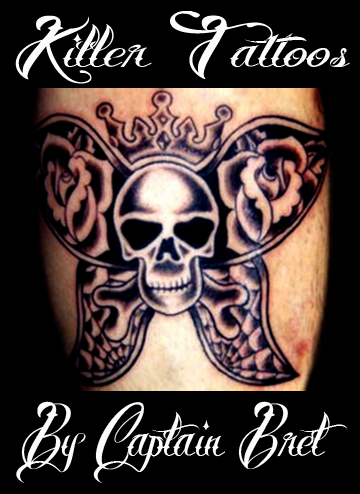 Today, tattoos have become much more accepted, frequently seen on an array of people that come from numerous professional backgrounds. 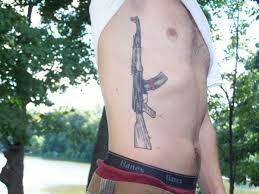 Still, gang members will frequently get tattoos to show their allegiance to their clique. 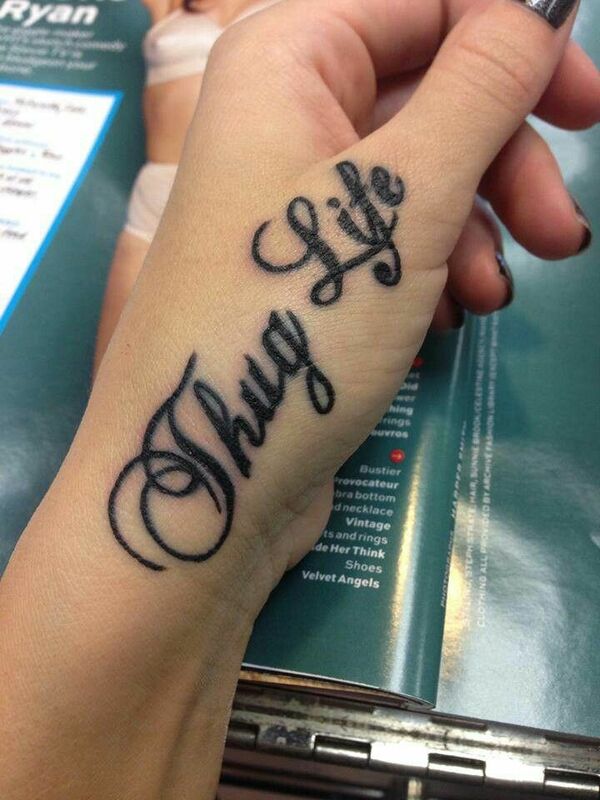 Gangsta tattoos are getting mainstream nowadays, because they are idealized and popularized by rappers. 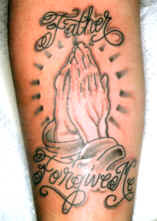 When gang or ghetto tattoos are taken out of their context (the gang) they are not the real thing anymore. 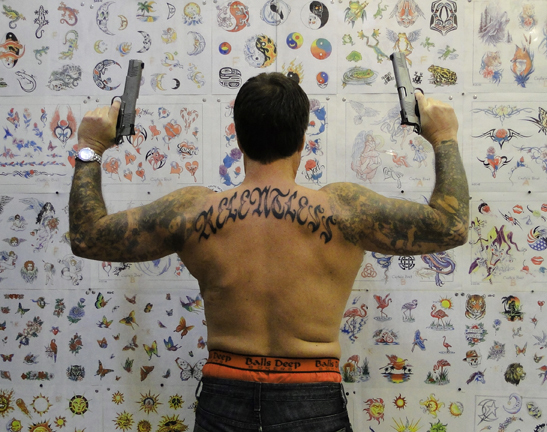 Russian prison tattoos: tattooing was and is a very common practice among Russian inmates. 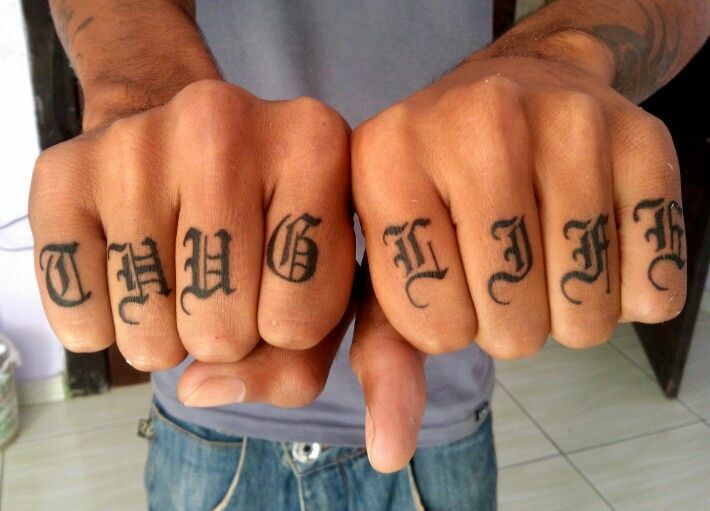 Just like gang tattoos, they form a secret language that pictures all kinds of information about the wearer, such as hierarchy, commited crimes, etc. 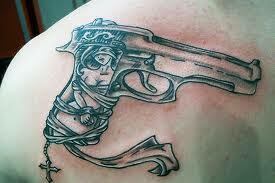 Hispanic and Mexican gang tattoos vary a lot, because they relate to the numerous specific gangs. 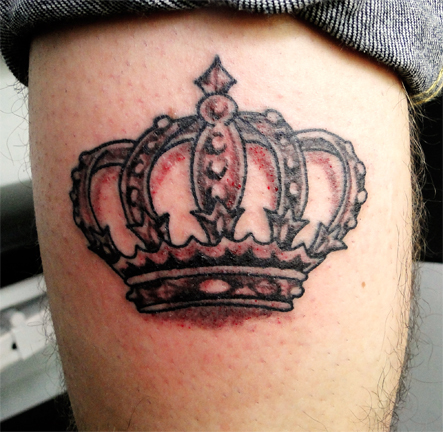 One recurring image is a five-pointed crown; this is often found on the upper arm. Alternatively, a small five pointed star can be found on the hand, between the thumb and first finger. 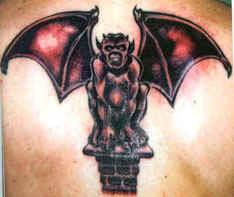 The designs are highly symbolic in nature, often showing the members� religious background or blood ties. 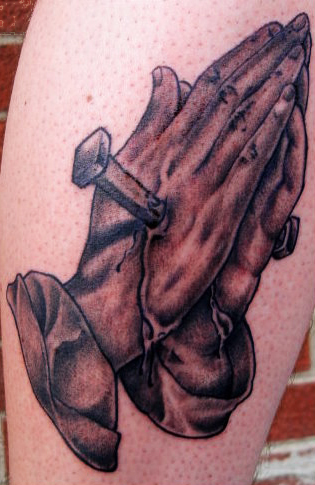 The common praying hands tattoo that you see often signifies �praying to God for forgiveness� for one�s deeds. Another common image is the �Lady of Guadalupe�, a favorite saint of many Hispanics. 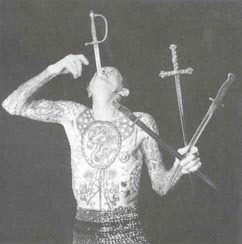 Japanese gang tattoos (which usually identify members of the Yakuza, or Japanese mafia) take the form of simple black rings around the arm � one ring for each major crime a gang member has committed. 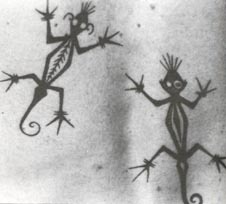 The similarity with tribal tattooing is quite strong � there, too, tribe members got additional tattoos in recognition of deeds they had done. 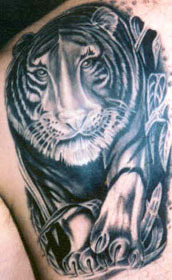 Usually though, tattoos of Yakuza members are very elaborate and detailed, going from sleeve to full body tattoos. These symbols proclaim the individual's allegiance to the group in a way that is both permanent and deeply personal - being written on the body itself. 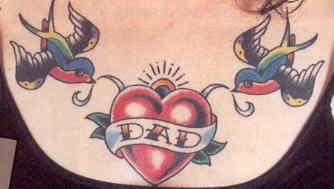 Tattoos have long been a means of identifying oneself with a group or culture. Gangs were one of the first groups to use tattoos as a means of denoting identity and affinity, but groups as diverse as the military, sports teams, and even the popular Rappers and band members have used matching tattoos as a visible sign of the members' bond with one another. 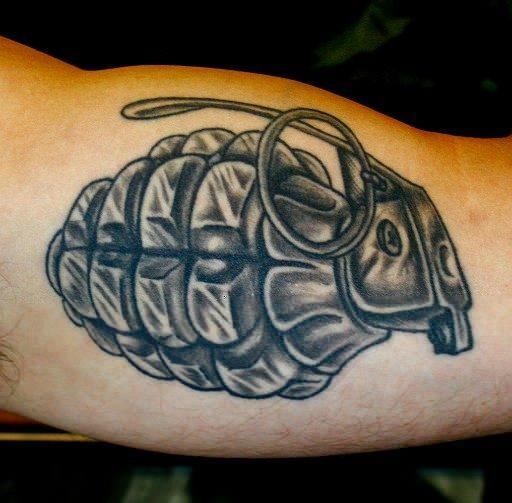 In an era where it�s cool to be bad, tattoos in the Gangster or Prison category have gained massive amounts of popularity. 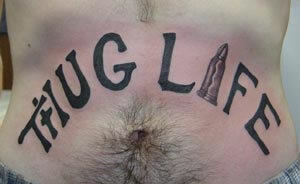 Tattooing on those who classify themselves as gangster is a common theme. 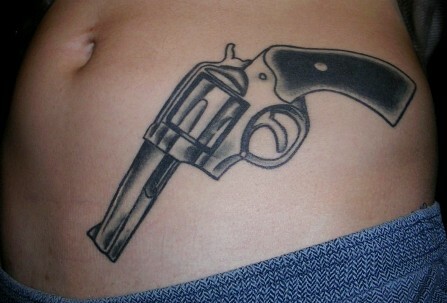 Guys, who are known for being tough, like gang members, consider the Gangster tattoo symbolic of strength. 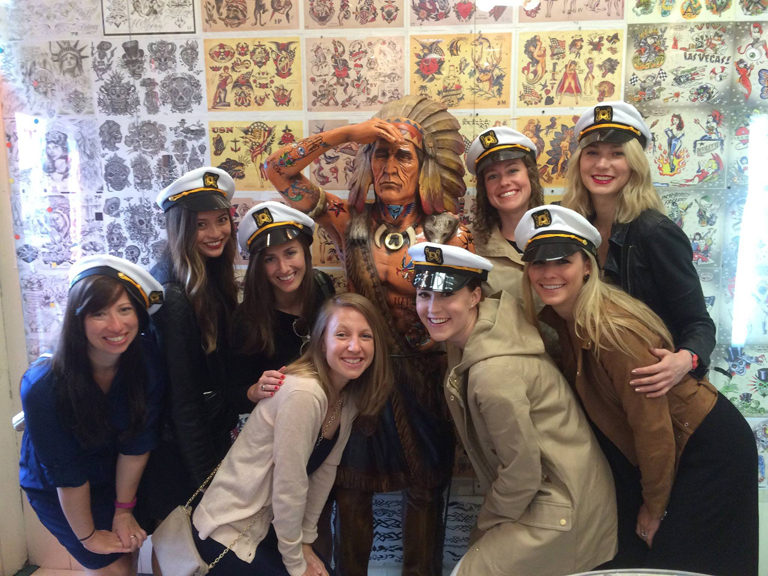 Tattoos among this crowd are also used to represent their bond with one another to the world. 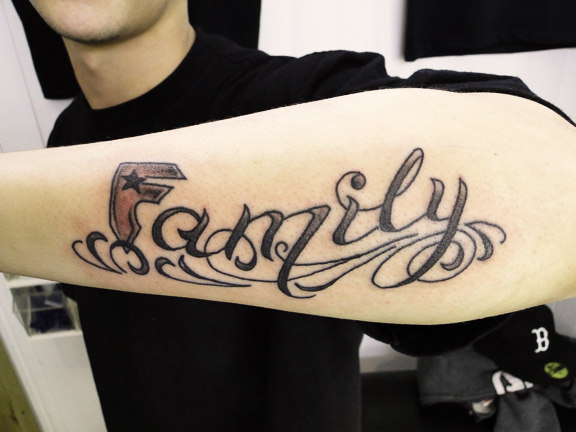 Because those living this gangster lifestyle usually have closer ties with the members of the gang than they do with their own family, these gangster style tattoos can be the representation of their devotion to the group. 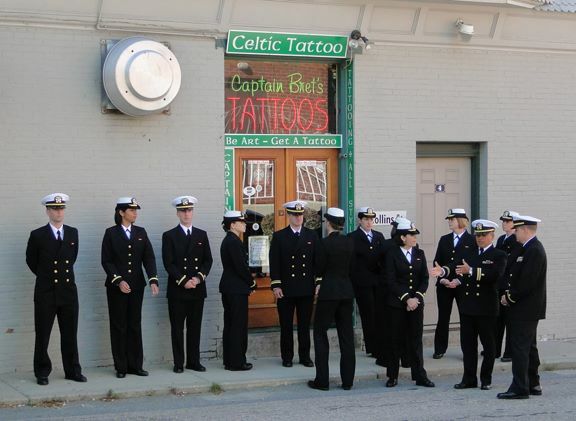 The Tattoo then becomes the method by which they show their solidarity to one another. 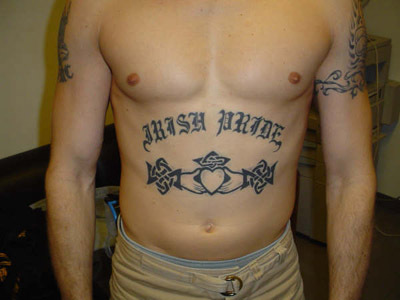 But while society has often imposed tattoos in order to identify the tattooed as criminals, many people have also embraced these stigmatizing marks. Being an outlaw can be a source of pride as well as shame. 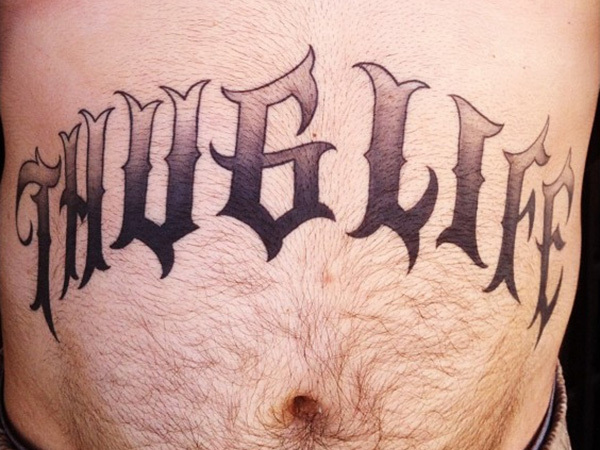 Gang members in particular take pride in branding themselves as outside of the boundaries of conventional society. 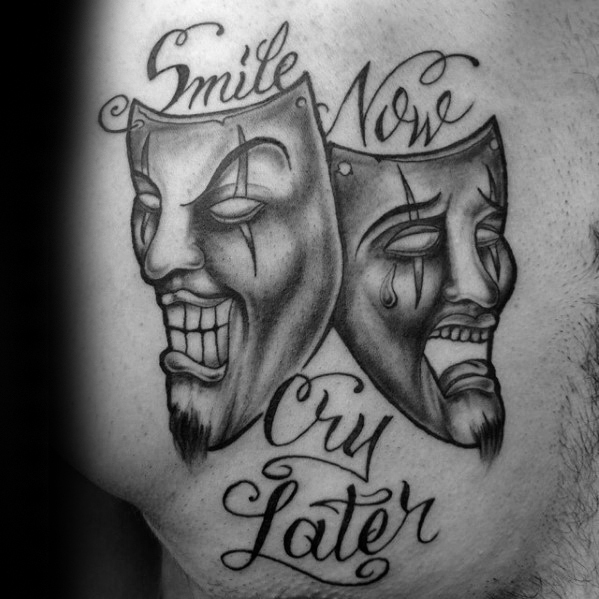 Tattoos are also used to express gang members' often fatalist philosophy of life. 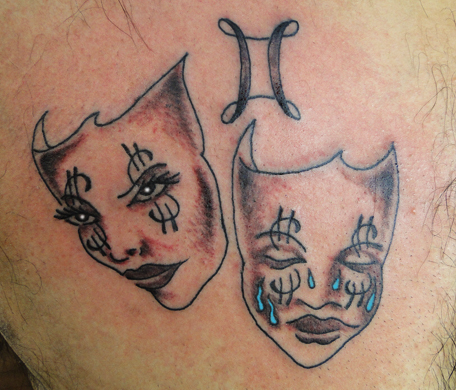 Tattooing of deceased friends names, dogs, diamonds, women, dead presidents, money, power, respect, tears, smile now cry later, cash rules. mob, rip, ballers only, dice, cards, death is certain life is not, crowns, aztec designs, grenades, jesus, saints, smile now cry later. 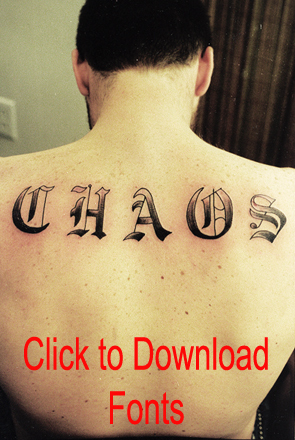 Gang tattoos used by gang members show loyalty and membership in a specific gang. They also reflect the gang member's life choices and gang-related accomplishments, like their specialty areas and skills, various accomplishments and even convictions. 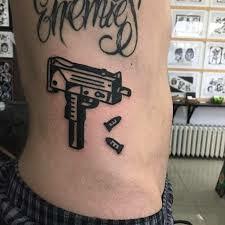 Gang tattoos are not random but rather they can be considered a sort of a secret code, which is usually only understood by the members of the specific gang. 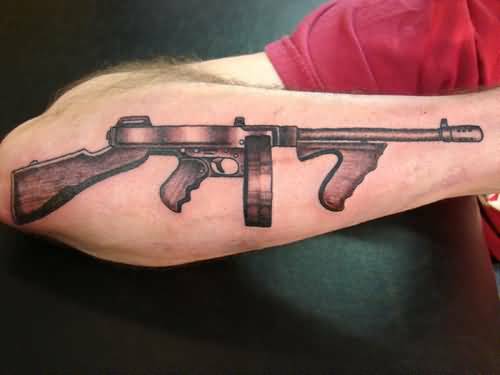 While tattoos are becoming increasingly popular with non-gang members, gang tattoos are considered by the wearer of the Tattoo to be badges of honor. 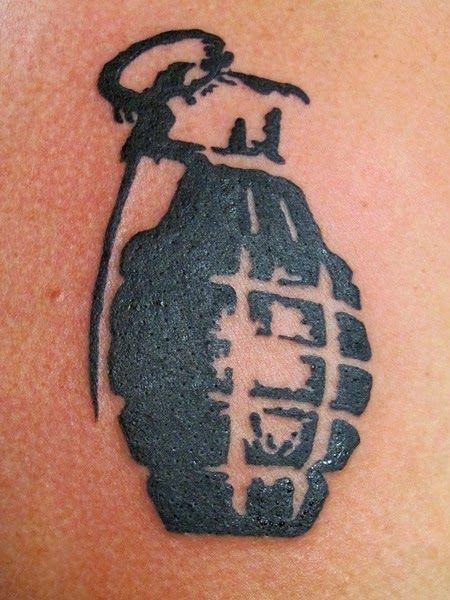 A Tattoo is a very important symbol of belonging to some gangs. It is one of the most dynamic indicators of gang affiliation to which a gang investigator has immediate access. 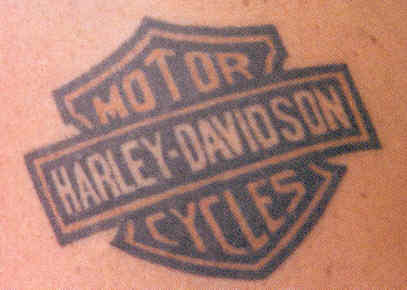 Many gangs use tattoos to indicate membership in a specific gang. 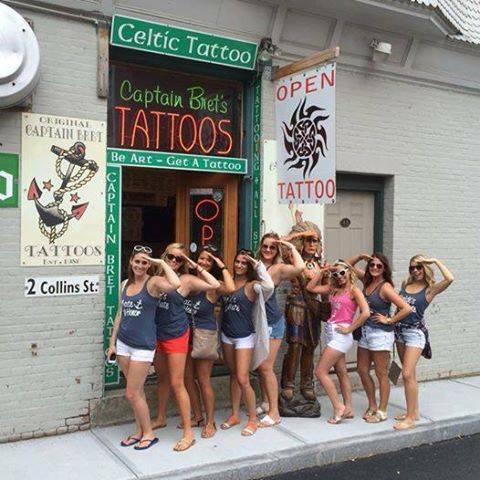 It is not uncommon, however, to find some groups who use no specific tattoos as identifiers. 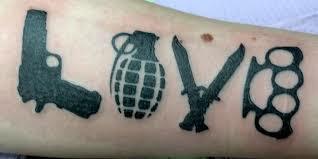 Tattoos are part of a process of nonverbal communications used by gang members. Without the need to verbally communicate, a gang member, as well as observant non-gang members, can identify a fellow gang member or rival. 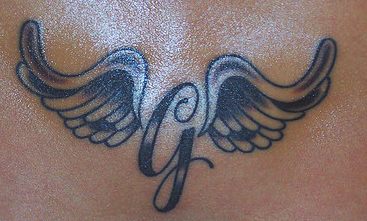 Interpretation of gang tattoos may yield the gang's name, geographic region or turf, name of the gang member (often the aka or aliase), even the last name tattooed across the shoulders or on the abdomen as well as information regarding members who have died. 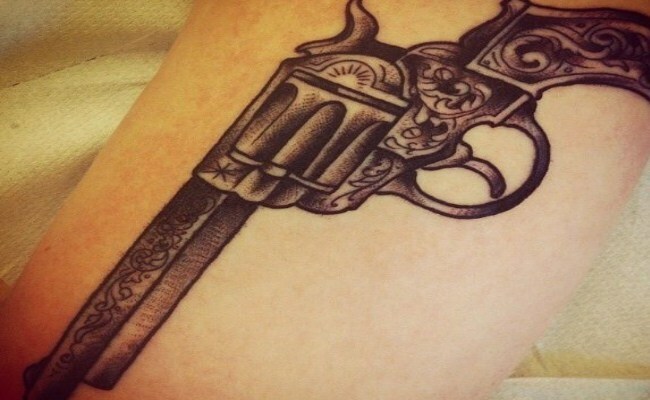 Today the role of tattoos is now facing a different kind of challenge: the adoption of tattoos as a standard accessory by large portions of mainstream society. True, few middle-class rebels have gone so far as to get facial tattoos, or tattoos on their hands-practices long common amongst gang members. 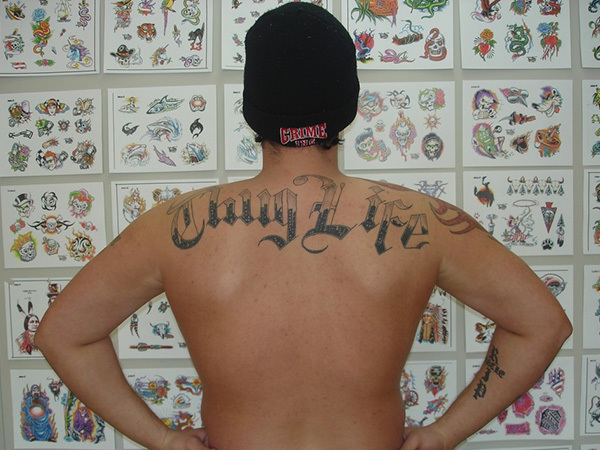 But although gang members try to use tattoos to separate themselves from mainstream society, the effect that gang tattoos have had on the hipper strata of the middle class is undeniable. 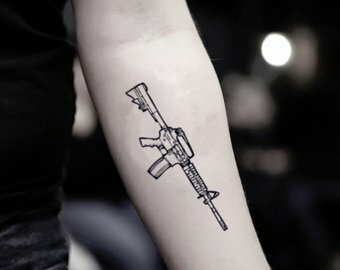 Teenagers who may have no idea of these symbols' original meaning are now wearing tattoos that were originally worn by gang members as badges of honor. Some members in particular take pride in branding themselves as outside of the boundaries of conventional society. 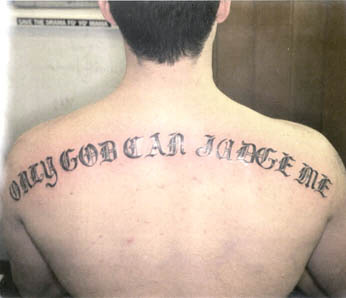 Tattoos are also used to express their often nihilistic philosophy. 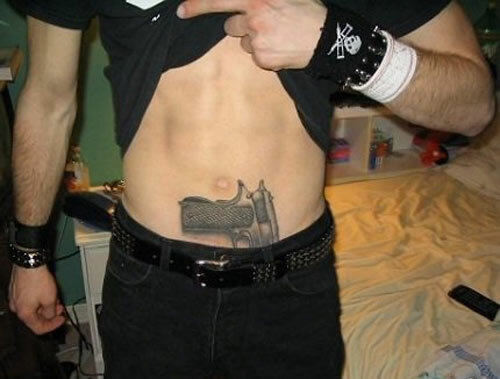 For gang members, however, tattoos are a way of both asserting membership in the gang and flaunting their lack of membership in straight society. 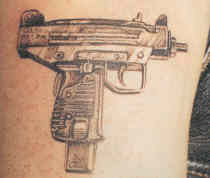 Gangsta style tattoos popularized by rappers are often done in a black and gray style and depict firearms, bullets, secret letters and numbers, in old English or gothic script. 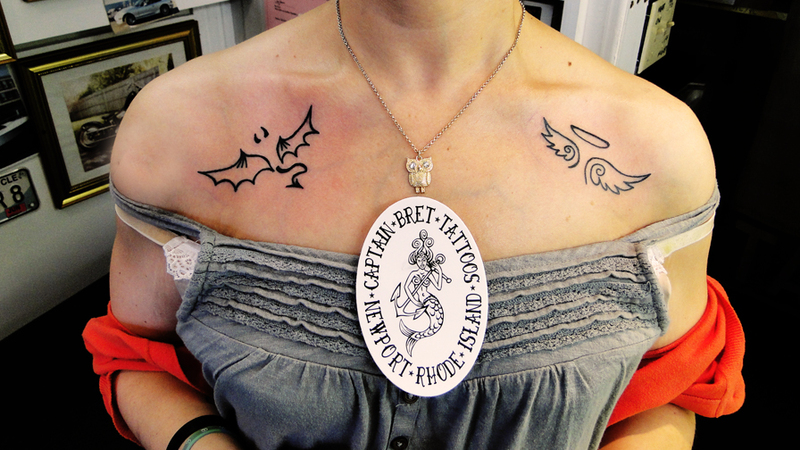 It is common to have the name of the person tattooed on the back of the neck or have a motto tattooed on the chest. 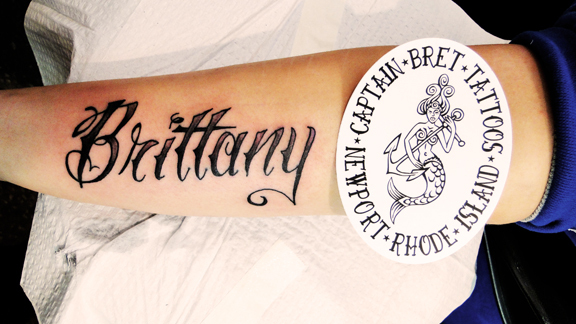 Old English lettering Tattoos are one of our most popular requested styles here at Captain Bret�s Tattoo Shop In Newport, RI. Although called Old English lettering, it is actually not correctly named. The font was mistakenly called "Old English" because of the incorrect belief that it was the font for Old English. The truth is that Old English existed way before the font was even invented, and it was not the actual font style used in Old English writing. The proper name for the font we call "Old English" is actually known as �BLACK-LETTER�. The Black-letter font first arrived in 12th century western Europe and was the font of choice for that era until the 16th century. 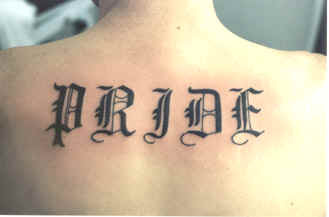 Old English lettering tattoos are based on this Black-letter font. 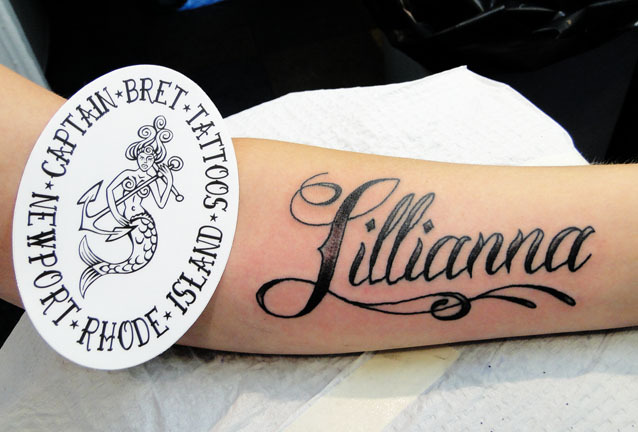 The beauty and the difficulty in creating the font is why it has become most popular among those looking to Tattoo themselves with custom lettering. 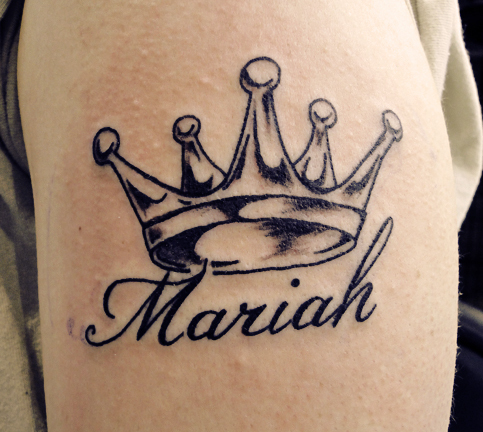 Many people who want a name Tattooed on themselves choose this style of font. 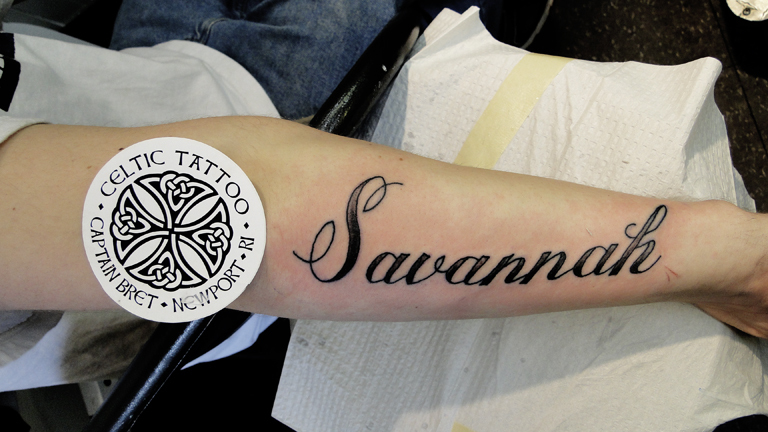 Old English lettering Tattoos are an awesome choice for a style of tattoo, because it can look good with other styled tattoos, such as Tribal or Celtic and grey-work/wash Tattoos. 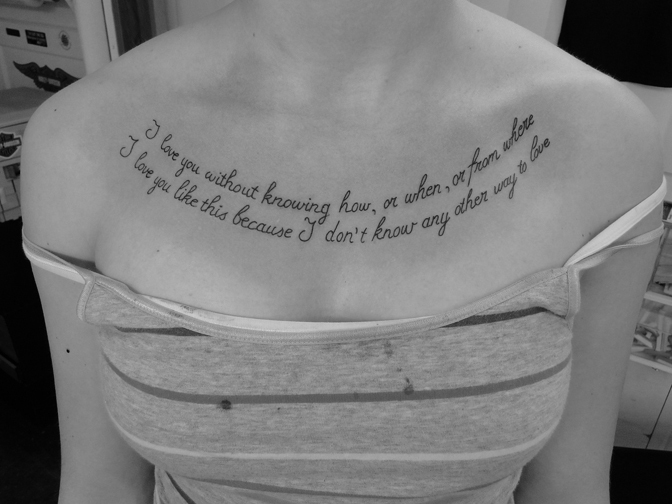 "I love you without knowing how. or when, or from where. 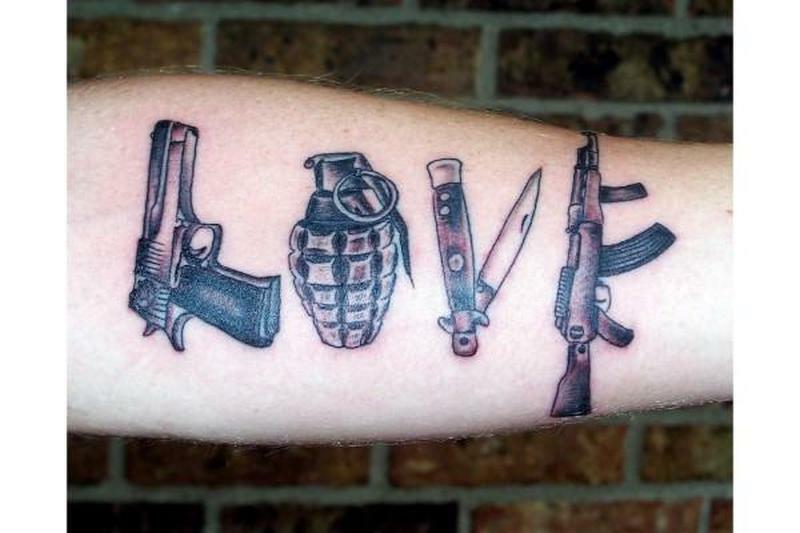 I love you like this because I don't know any other way to love"
The next thing you want to think about is the font you are going to use for the Tattoo lettering. The most common ones that are used are the old English font and script lettering. However, since these look great, try to keep away from it being too common. You want yours to be yours alone. 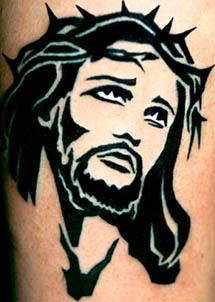 If you decide to get a Tattoo, it is very important to consider the design carefully. 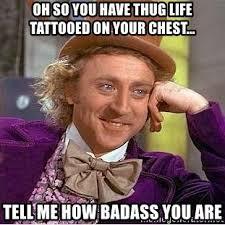 Do your research to ensure that the tattoo you want isn't gang related. 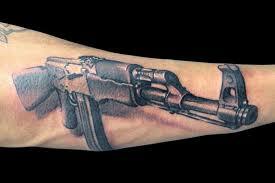 You can also check with your Tattoo artist, who is likely to be knowledgeable about gang tattoos. 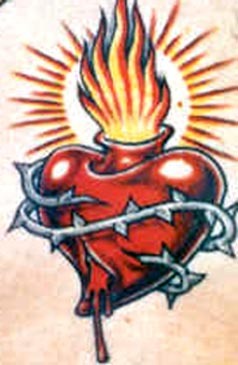 Some gangs consider it disrespectful or insulting when an outsider wears a tattoo of a symbol belonging to their group and may retaliate. 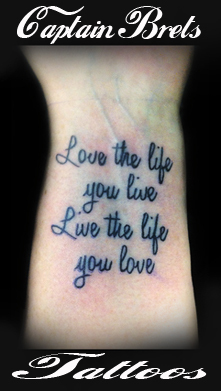 Tattoos lettering can be a label on an image that you�ve tattooed on your body. You might have it inked in below the graphic design you�ve chosen, or maybe as a banner across the design. 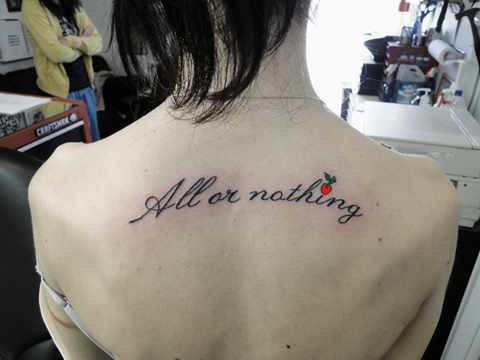 It can also stand on its own as a tattoo, without any image. When you choose your lettering style, you are showing off your style, your strength, or even your loyalty. Lettering on its own, without an image, is powerful. It succeeds in capturing people�s attention to get a real look at what your message is. You can just use initials to abbreviate your cause or message. 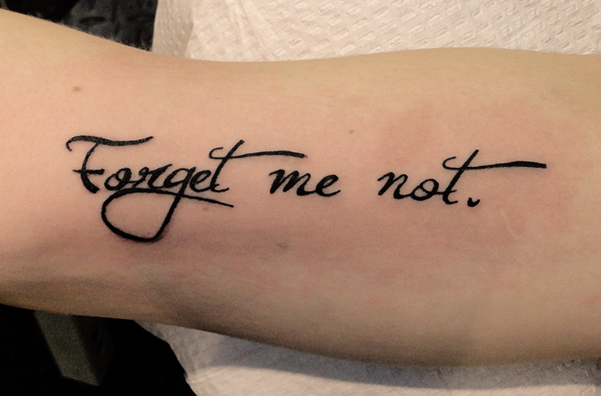 This was the original form of Tattoos lettering. 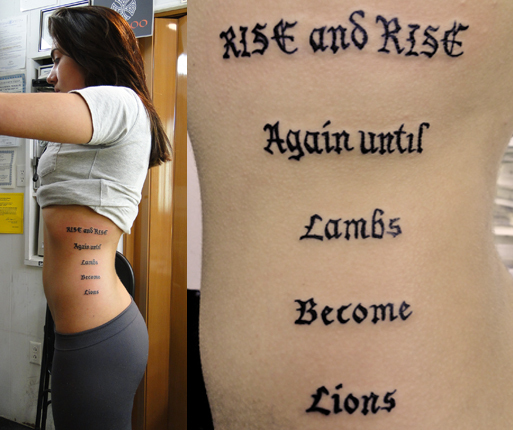 Or you can go wild and tattoo long sections of text on your body-remember Cady in �Cape Fear� with his ominous Bible verses. Either way, you�re bound to make an impact. 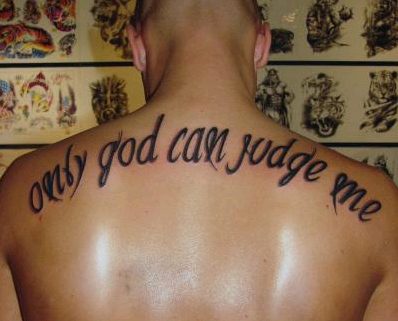 What do you want your tattoo to say? Most people use this form of art-skin art-to show that they belong to a special group. Often it�s used to pledge love. 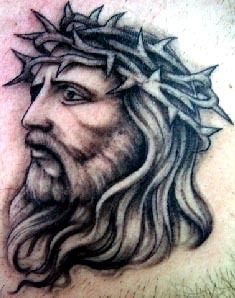 Many people use tattooing to demonstrate their belief in a religion or show that they�ve achieved a cultural rite of passage. Yet others use it to declare their mystical roots. 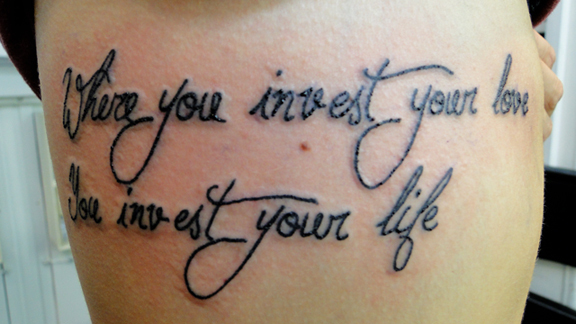 Or you can choose a line from a poem, the passage from a book, the logo of a favorite product. 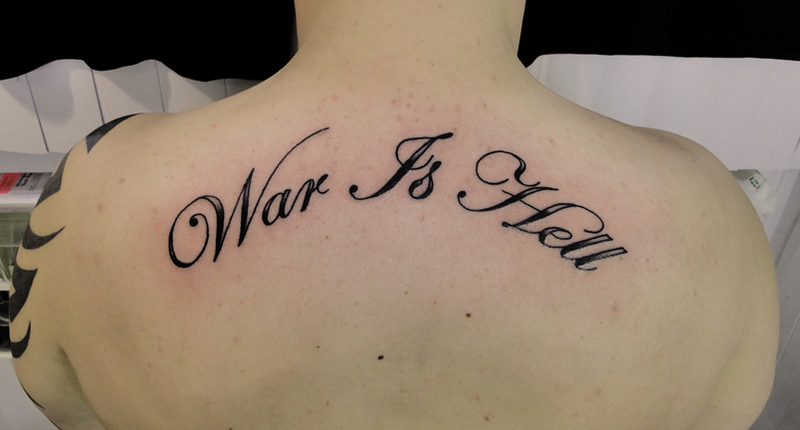 Tattoo lettering essentially reflects the style and attitude of the wearer to a very large extent. It emphasizes on projecting the image of the wearer in whatever way that is desired. 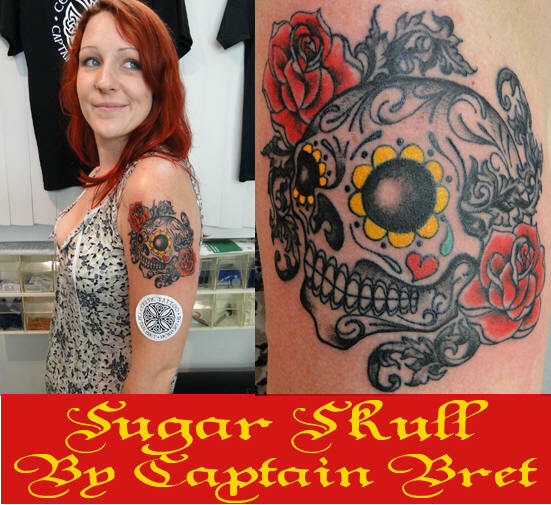 Here at Captain Bret's Tattoo Studio each and every individual gets to choose his or her most preferred style. 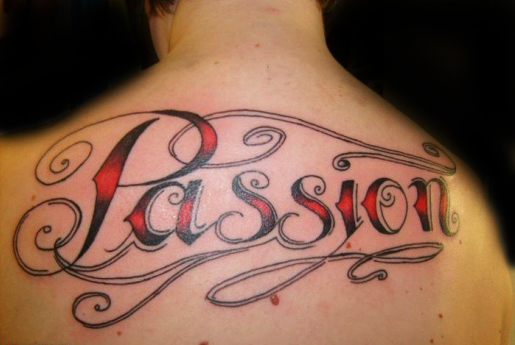 Tattoo lettering is relatively a new art as compared to the traditional designing trends that have been around. 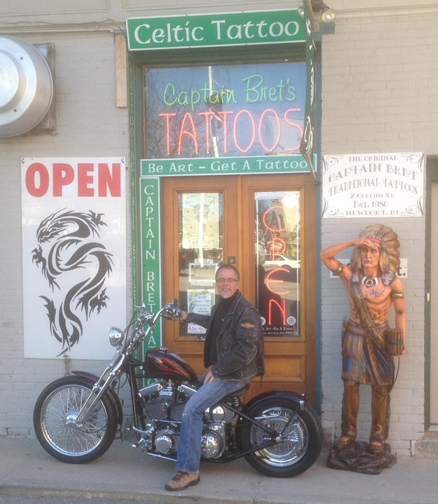 Captain Bret can Tattoo a complete sentence or phrase in such a way so that it adds to the beauty of the individual who wears the tattoo. 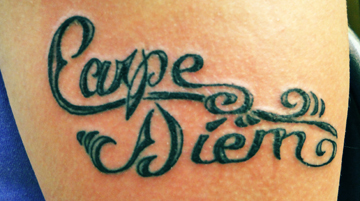 There are various trends that are used by people across the world when considering lettering for tattoos. Simple alphabets that form the initials of an individual can very appropriately emphasize on the dedication of an individual towards some one that is important. A single or particular word, in any language, can have a very deep and equally powerful meaning. A word may also refer to some incident that happened in the past and may also refer to a very special memory. 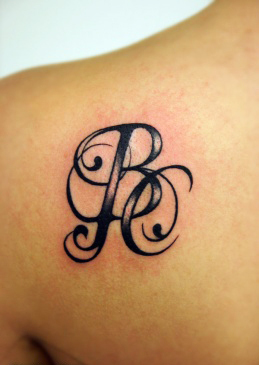 Alphabets these days form an integral part of various Tattoo designs. 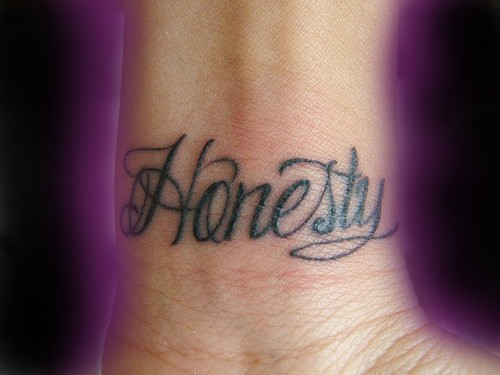 Tattoo fonts enhances the style of a Tattoo, making it look extremely beautiful. 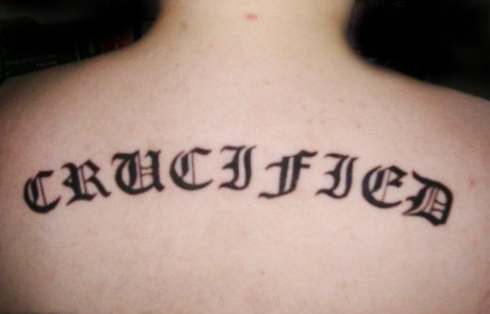 If you are Getting a word Tattoo, it is important that the Tattoo artist is skilled as the details of a font are important. 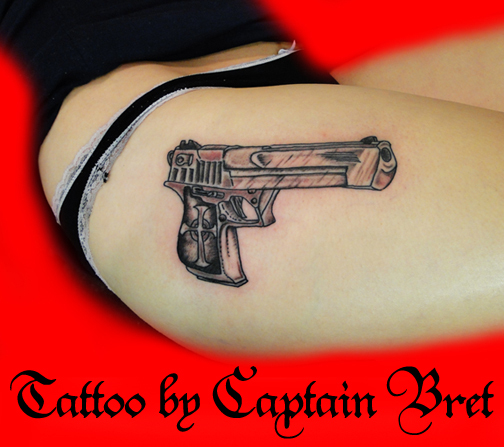 Captain Bret can also give his own individual touch to the Tattoo to add to its identity and beauty. 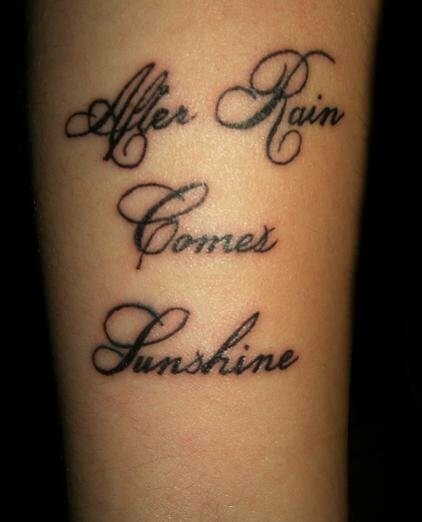 There are many popular styles of writing for tattoos which are listed below. Old English Lettering Style: This kind of style is calligraphic, and is heavily ornamented to make it stand out. The font has a slightly Gothic look and is hugely popular. It is very detailed. Chinese Lettering Style: This style depends on the Chinese calligraphic font, which is creative and complex. The meaning can differ just by the addition or subtraction of a stroke. Japanese Kanji Style: Kanji style uses the Chinese characters that are used in Japanese. 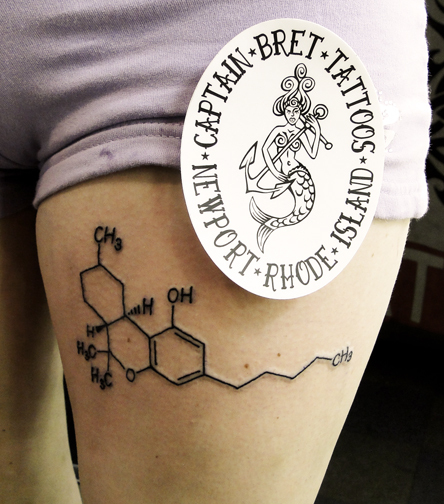 Used in tattoos, they historically refer to having done a term in jail, and therefore they are frowned upon. But the popularity of Kanji tattoos has been increasing due to their fluid stroke and beauty. 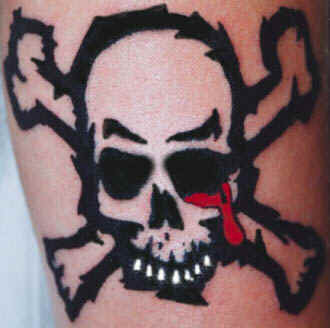 But do ensure that you check with someone who knows the script, as you do not want a fake Kanji tattoo on your body. 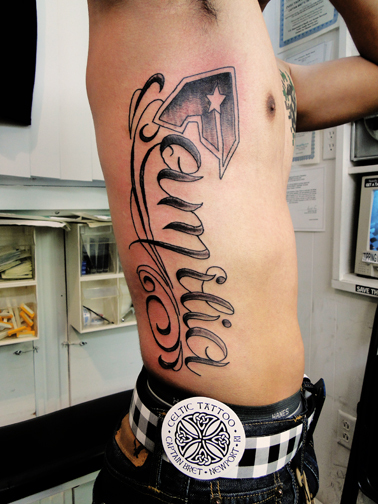 Latin Lettering Style: Using Latin to express yourself through your tattoo, has become extremely popular, as the language has a hint of romance and exotica attached to it. Arabic Lettering Style: Arabic lettering is calligraphic, which is the reason for the popularity of this font. 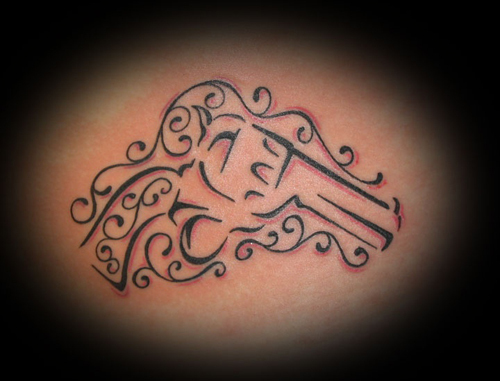 It is one of the tattoo writing styles which is unique and artistic. Sanskrit Lettering Style: Sanskrit is a classical language from India, which has garnered popularity due to the many celebs who have been sporting Sanskrit lettering tattoos. It is a unique and ancient language. 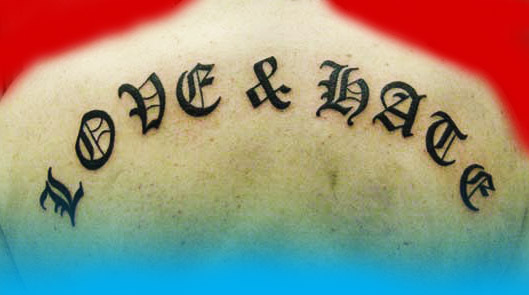 The Devanagari script, from India, is also extremely popular among tattoo enthusiasts. 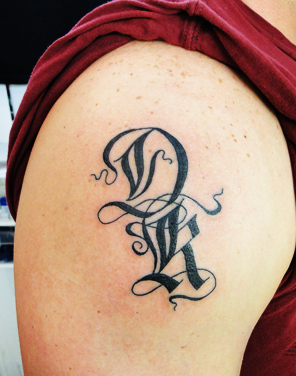 This was just an overview of the different styles of letters for tattoos, which are in vogue. 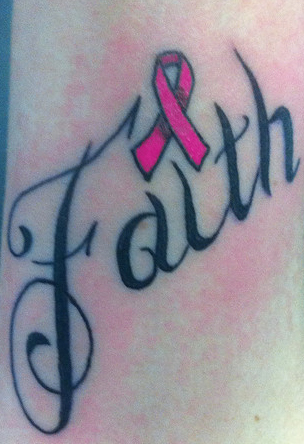 You can create tattoos that are just words or combine them with images that accentuate the meaning of the words. 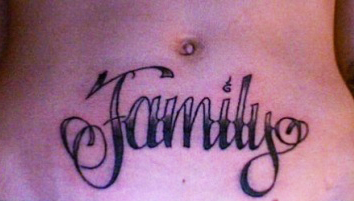 The latest trend in word Tattoos is getting ambigrams, which are words that read the same, whether you look at it straight up or upside down. 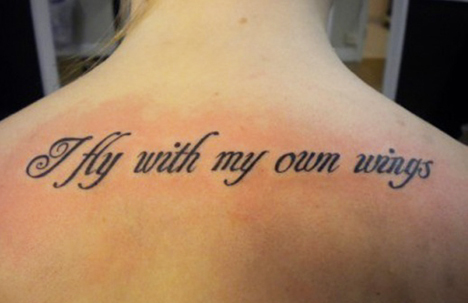 There are several styles of writing for tattoos, which maybe a source of confusion. 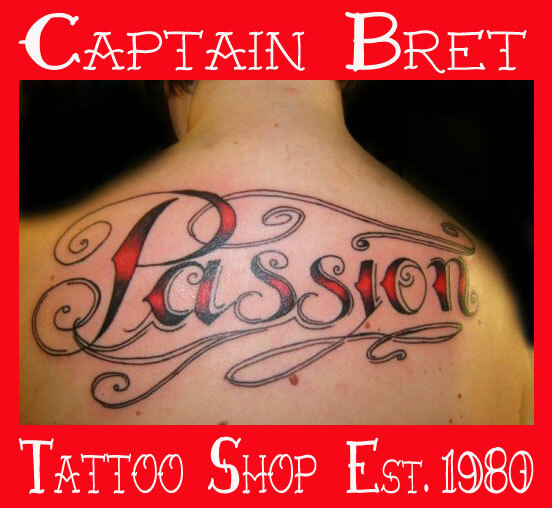 Once you have decided on the one word/quote that you want to be inked with, choosing the lettering style will be easy because Captain Bret is an expert at Calligraphy, we have close to a thousand fonts available for use as your new custom Tattoo in our adobe program here at the shop. 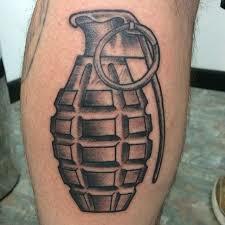 The tattoo is done in shades of black and gray only. This style originated in the prisons of North America, due to the prisoner's difficulty in obtaining colored ink. 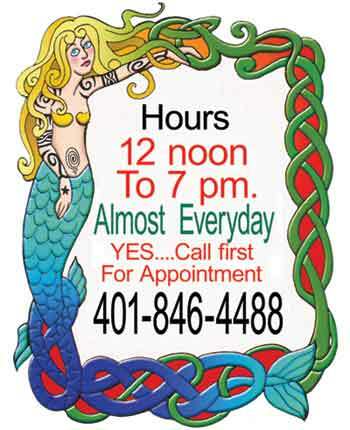 When several tattooists, e.g. 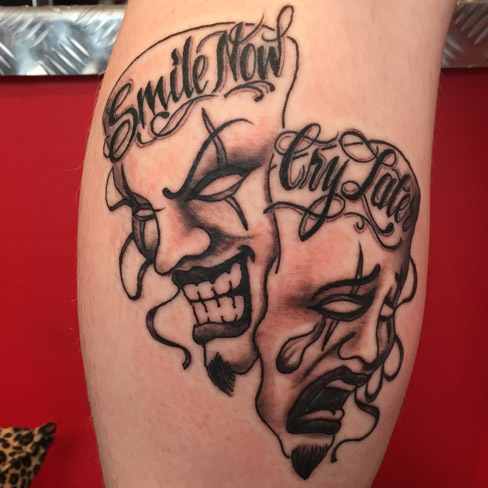 California's Jack Rudy and Good Time Charlie Cartwright, saw the work they realized that there was great artistic potential in adapting it for use in tattoo shops outside of the prisons. They developed the refined, detailed style that has become popular these days. 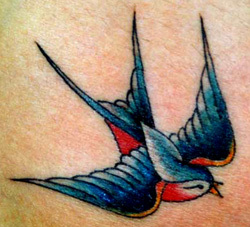 "The New York Style" of tattooing is known for its direct, no nonsense aesthetic. Influenced by Augustus "Cap" Coleman, The New York Style has historically exhibited a bold outline and bright, bold colors. Bold, black, silhouette style designs. Most of this work is based on ancient tattoo designs of the South Pacific Islands. These designs, more so where they are strongly based on traditional forms, are usually abstract. 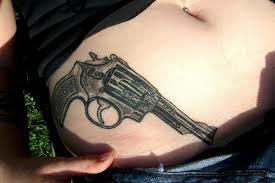 But this is not always the case, as tattooist in the west have modified the traditional designs. 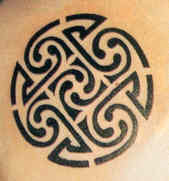 The easiest way to characterize tribal style blackwork is that it consists of a combination of discrete design elements, each of which is self contained, abstract, and without shading. These elements are grouped which may or may not have a separate specific meaning. 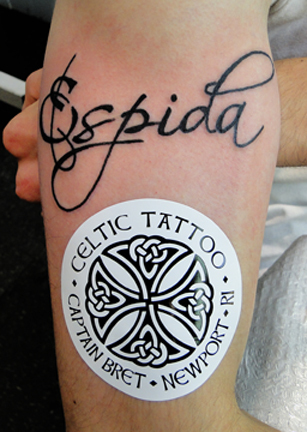 Celtic tattooing refers to tattoo work based on Celtic styles of art and design. 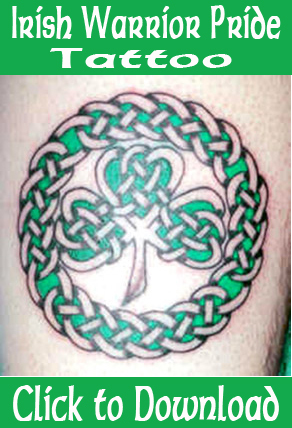 Scroll-work in particular, Celtic knots, and traditional design elements such as griffins and other stylized mythological creatures, arm bands utilizing triskaleons or interweaving knot-work designs, and the Celtic cross and circle are motifs representative of this category. These are much harder for artists to do, and is best done by someone who specializes in it. 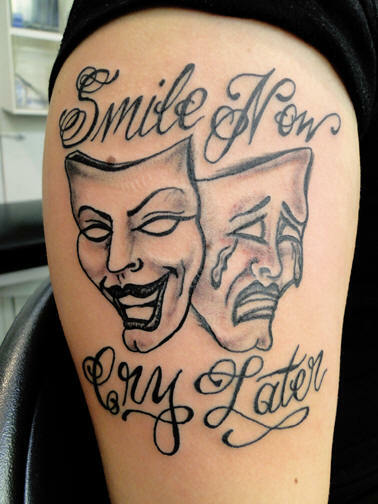 Also usually done in just black ink. 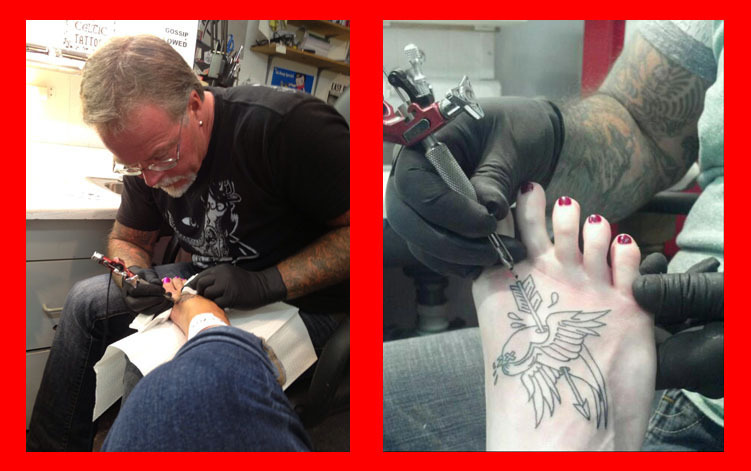 Original work designed by the bearer, either on his/her own or together with the tattooist. 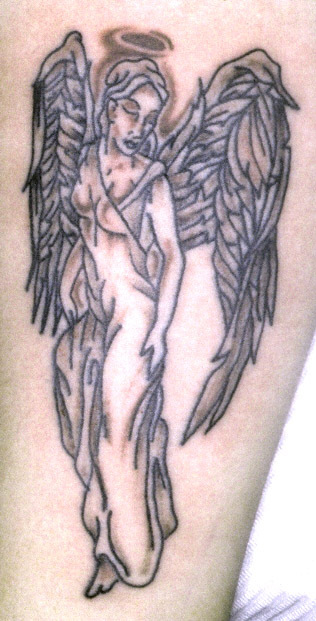 Custom designs are prevalent among people looking for a tattoo which fits their personality, set of beliefs or is chosen to mark a special event in their lives. The design itself can be widely varying, depending on taste, budget and attitude of the bearer.